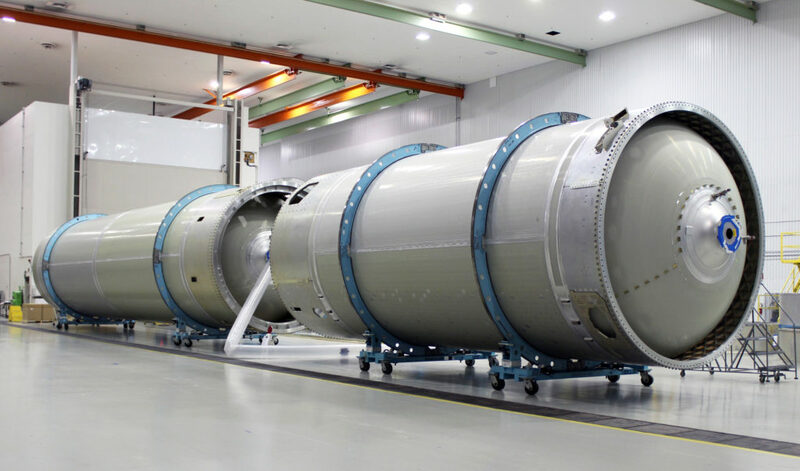 The Atlas V rocket that will launch Boeing’s CST-100 Starliner spacecraft on the company’s uncrewed Orbital Flight Test for NASA’s Commercial Crew Program is coming together inside a United Launch Alliance facility in Decatur, Alabama. The flight test is intended to prove the design of the integrated space system prior to the Crew Flight Test. These events are part of NASA’s required certification process as the company works to regularly fly astronauts to and from the International Space Station. Boeing’s Starliner will launch on the United Launch Alliance Atlas V rocket from Space Launch Complex 41 at Cape Canaveral Air Force Station in Florida. The Atlas V rocket that will launch Boeing’s CST-100 Starliner spacecraft for the company’s uncrewed Orbital Flight Test for NASA’s Commercial Crew Program is coming together inside a United Launch Alliance facility in Decatur, Alabama. 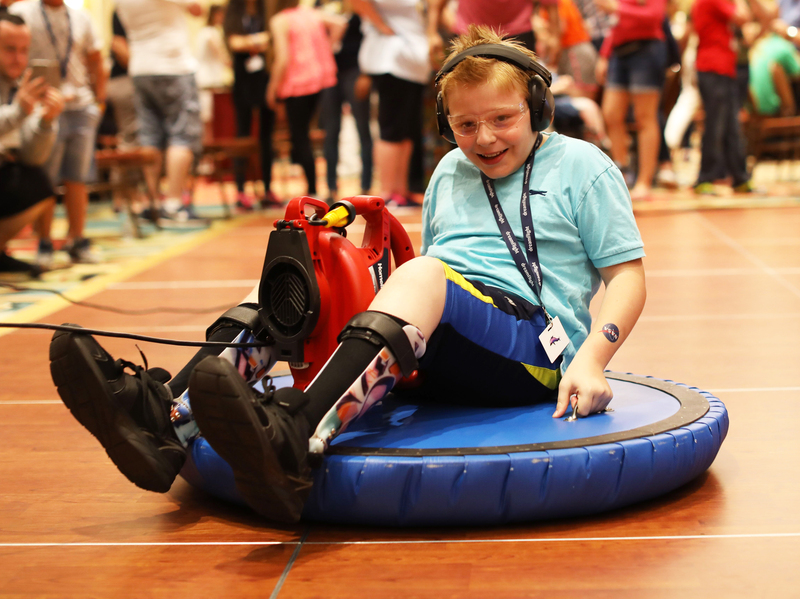 A group of seriously ill or disabled children and their caregivers from the United Kingdom recently had an opportunity for a special vacation in Orlando, Florida. For the past 30 years, UK-based Dreamflight has chartered a 747 jumbo jet for 192 children facing a disability. The children spent 10 days in exciting events, including an evening of space-themed activities with NASA. While in Central Florida, the children, ages 8 to 14, spent time at Orlando’s theme and water parks. For the past five years, NASA has been part of the experience for these youngsters with an interactive NASA Night created by volunteers from NASA’s Kennedy Space Center. Dreamflight was co-founded in 1986 by Patricia Pearce and Derek Pereira, both of whom worked for British Airways. They began raising funds to take deserving children to Orlando theme parks and Dreamflight was born. The program’s goal is to change the kids’ young lives. But to the Kennedy employees who spent a few hours with these special children, Dreamflight and the children made a lasting impact. Peter Karikas is 14 years old and is a member of the Stargazing Club at his school in Scotland. He stated that NASA Night was his favorite activity of the entire trip. A total of 40 participants from Kennedy included employees from the center’s Education Projects and Youth Engagement Office, Commercial Crew Program, Launch Services Program, Ground Systems Development and Operations, as well as contractor representatives from Jacobs and Delaware North at the Kennedy Space Center Visitor Complex. In addition to Kennedy employees, the Orlando Science School’s “Clockwork Mania” FIRST Robotics team, including five students and two mentors, presented a robotic demonstration and answered questions. While there were many fun activities, the young people were thrilled to hear from someone who had flown aboard the space shuttle. Florida Tech professor of physics and space sciences, Dr. Sam Durrance, gave a presentation called “Astronaut Talk.” He was a payload specialist on STS-35 in 1990 and STS-67 in 1995. Karikas said he enjoyed meeting and talking to Durrance. After hearing about what it’s like to fly in space, the young people participated in a virtual reality demonstration, gee-whiz science presentation, rode a hovercraft and had their picture taken with the “SpacePerson” from the Kennedy visitor complex. Dreamflight team leader Jason Beamish-Knight has been volunteering with the organization for 15 years. 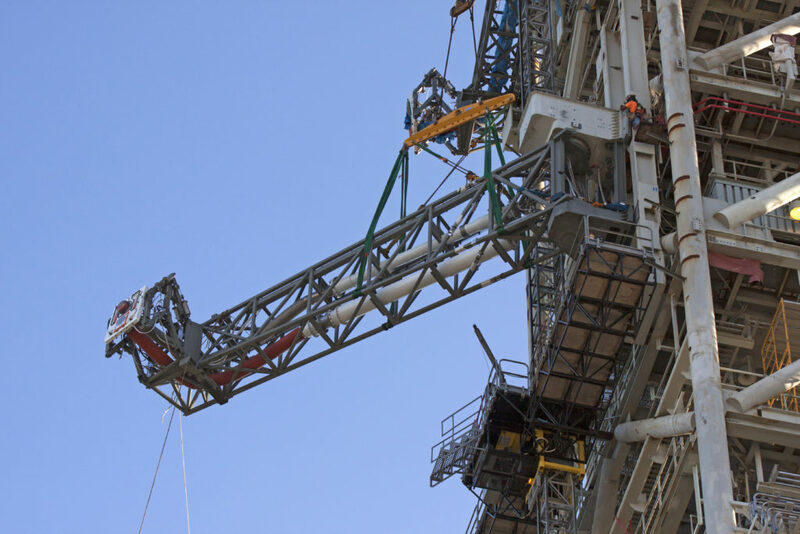 Engineers lifted and installed a third umbilical on the mobile launcher at NASA’s Kennedy Space Center in Florida for a fit check. The tower on the mobile launcher will be equipped with several connections or launch umbilicals like this one. After the fit check was completed, the umbilical was lowered down and will be installed permanently at a later date. The umbilicals will provide power, communications, coolant and fuel. They will be used to connect the mobile launcher to the agency’s Space Launch System (made up of the core stage, twin solid rocket boosters, and the interim cryogenic propulsion stage) and the Orion spacecraft mounted on top of SLS. An area on the SLS between the liquid hydrogen and liquid oxygen tanks is known as the core stage inter-tank. The core-stage inter-tank umbilical is the third in a series of five new umbilicals for the mobile launcher. Its main function is to vent excess gaseous hydrogen from the rocket’s core stage. This umbilical also will provide conditioned air, pressurized gases, and power and data connection to the core stage. The Orion service module umbilical and the core stage forward skirt umbilical were previously installed on the tower. The service module umbilical will connect from the mobile launch tower to the Orion service module. Prior to launch, the umbilical will transfer liquid coolant for the electronics and purge air/gaseous nitrogen for environmental control. The SLS core stage forward skirt is near the top of the core stage, and the forward skirt umbilical provides connections and conditioned air/gaseous nitrogen to the core stage of the rocket. All these umbilicals will swing away from the rocket and spacecraft just before launch. Several other umbilicals were previously installed on the mobile launcher. These include two aft skirt purge umbilicals, which will connect to the SLS rocket at the bottom outer edge of each booster and provide electrical power and data connections, remove hazardous gases, and maintain the right temperature range with a nitrogen purge in the boosters until SLS lifts off from the launch pad. The Ground Systems Development and Operations Program at Kennedy is preparing ground support equipment, including the launch umbilicals, for NASA’s deep space exploration missions. With the challenges involved in space exploration, NASA understands the need to fill its workforce with innovative employees and to help them maximize their capabilities. On Oct. 5, schools, organizations and individuals from around the globe participated in a special webcast to learn from NASA employees with disabilities who have found rewarding, successful careers in the space program, including the agency’s Kennedy Space Center in Florida. October is National Disability Employment Awareness Month, and this year’s theme — “Inclusion Drives Innovation” — is exemplified by NASA. “We need people of different backgrounds and different experiences to help create innovation to solve those challenging problems that will allow us to go to the Moon, Mars and beyond,” said Kennedy Space Center Associate Director Kelvin Manning. Employees shared their backgrounds, challenges and triumphs in pursuit of their dreams, highlighting how they have pushed NASA to meet the needs of every individual. According to the final tally, there were 456 webcast views from 23 states, Washington, D.C., and eight countries. Using a standard classroom ratio, it’s estimated the event reached 11,400 people. 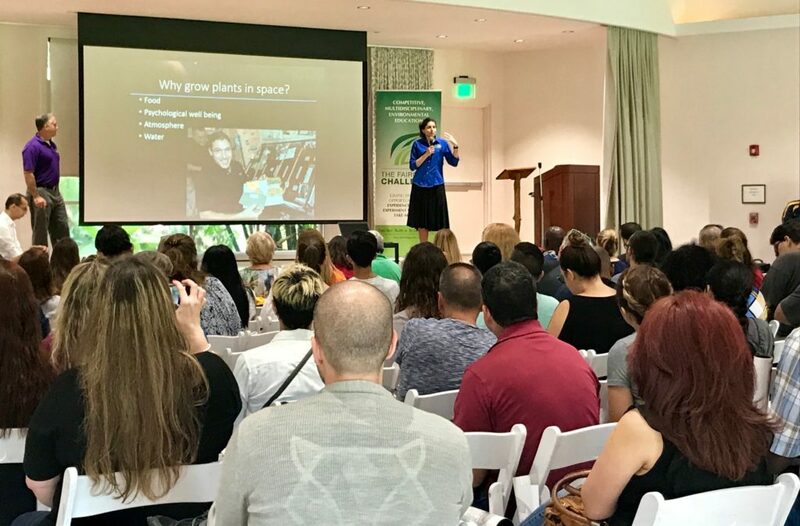 The annual 2017-2018 Fairchild Challenge Growing Beyond Earth recently kicked off at Fairchild Tropical Botanic Garden in Miami. For the past three years, plant researchers at NASA’s Kennedy Space Center in Florida have been partnering with Fairchild to create STEM-based challenges for teachers and students in the area. More than 130 middle and high school teachers participated in the opening workshop Sept. 30. Kennedy scientists Dr. Gioia Massa and Trent Smith taught teachers about food production in space and NASA’s Veggie plant growth system currently aboard the International Space Station. Veggie is a system that allows astronauts to grow plants and crops — some of which they can eat. Veggie is an important demonstration of how NASA applies science across disciplines — in this case Space Biology to grow a healthy crop and Human Research to ensure astronauts remain healthy — to enable human space exploration. At the end of the workshop, teachers received mini botany labs their students will use to participate in the project during the current school year. Each lab is meant to be managed like Veggie’s hardware on station. Students have to follow research protocols set forth by NASA and Fairchild while testing factors that could influence plant growth, flavor and nutrition — all so they can help NASA pick the next crops to grow for the astronauts aboard the station. The first major integrated operation at Launch Pad 39B at NASA’s Kennedy Space Center in Florida began with the initial tanking of a cryogenic fuel into a giant sphere at the northwest corner of the pad. The tanking operation is one of the steps needed to bring the center closer to supporting the launch of the agency’s Orion spacecraft atop the Space Launch System rocket on its first uncrewed test flight. Several Praxair trucks arrived at the center and offloaded their liquid oxygen, or LO2, slowly, one at a time, into the cryogenic sphere to gradually chill it down from normal temperature to about negative 298 degrees Fahrenheit. 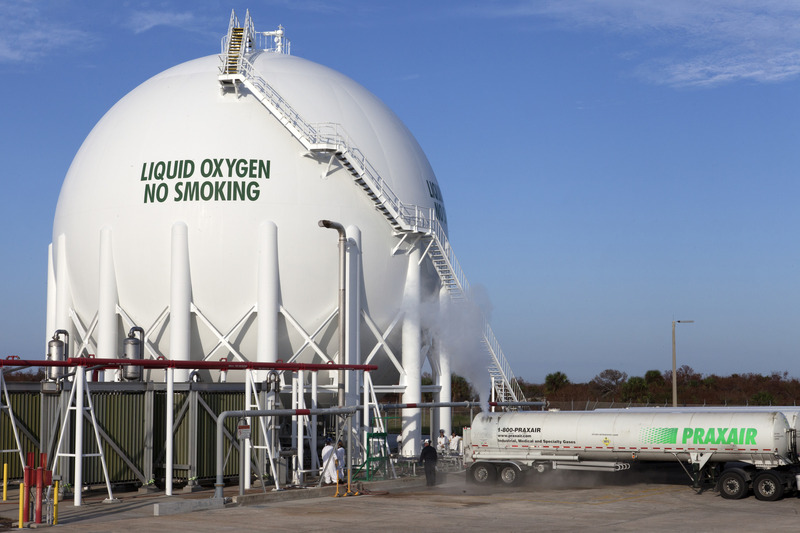 Praxair, of Danbury, Connecticut, is the company that provides the agency with liquid oxygen and liquid hydrogen. Another wave of trucks arrived and offloaded their LO2 all at the same time. During the next several months, trucks will continue to arrive from Praxair and offload about 40,000 gallons of fuel two days per week into the sphere that can hold about 900,000 gallons of liquid oxygen. The procedure to fill the liquid hydrogen storage sphere will begin in November and will be completed in the same way. When both tanks are filled to about halfway, engineers in a firing room in the Launch Control Center will perform pressurization tests. Additional tests will be performed with the mobile launcher around mid-2018. The cryogenic fuels will remain in the tanks. Blackwell-Thompson said it is not uncommon during tanking to see vapors and mist in the cryo storage area and near the vehicle. This week, she got a preview, when the trucks offloaded the first round of LO2 and once again, cryo vapors were visible. Because some of the liquid oxygen boils off during tanking, additional LO2 is required. “This is a very important step in our path to launch, and we are thrilled to have cryo propellant return to the pad,” Blackwell-Thompson said. The Ground Systems Development and Operations Program is preparing the pad for the launch of Exploration Mission-1, deep space missions and the Journey to Mars. Significant upgrades to the pad include a new flame trench beneath the pad and a new flame deflector. 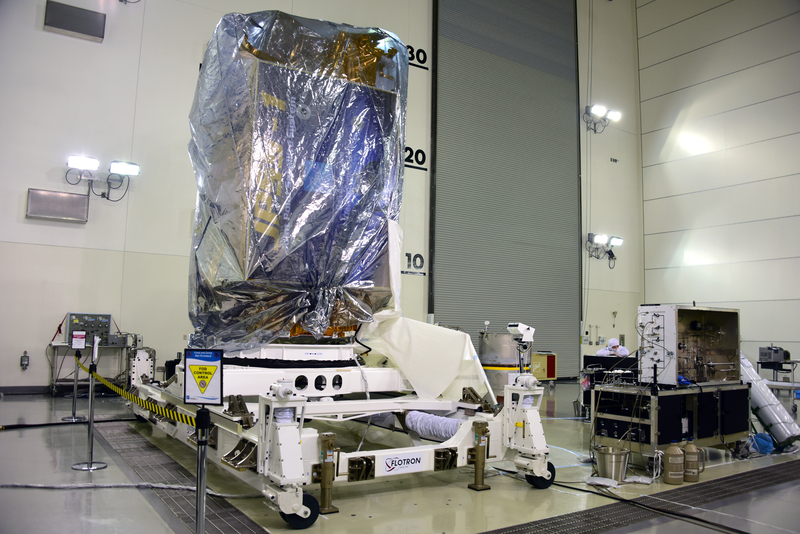 NOAA’s Joint Polar Satellite System-1 spacecraft has been removed from its shipping container in the Astrotech Payload Processing Facility at Vandenberg Air Force Base in California, where it is being prepared for its upcoming launch aboard a United Launch Alliance Delta II rocket. The JPSS-1 satellite will go through a series of routine inspections, checkouts and testing before it is sealed inside the payload fairing and placed atop the Delta II rocket, already standing at Space Launch Complex-2W. Launch remains scheduled for Nov. 10.